Food and cooking for bone health are an important ally for everyone interesting in aging gracefully and enjoying life. 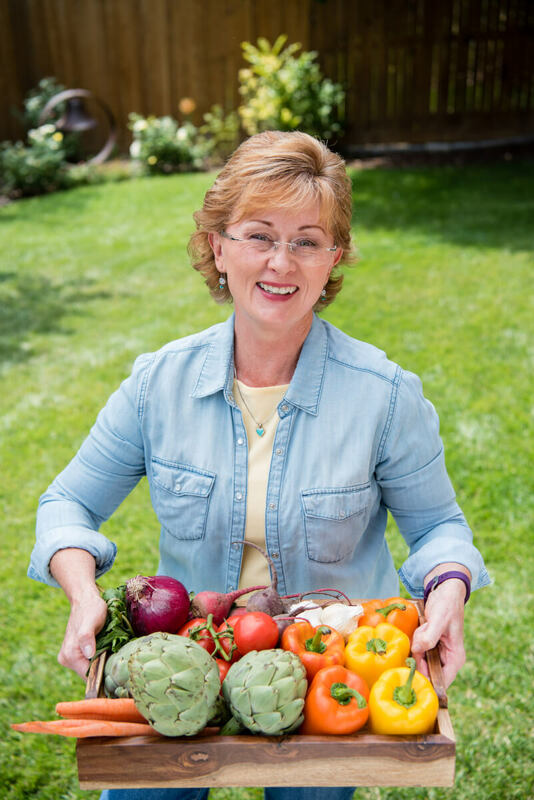 Cooking nourishing food for bone health can impact our personal aging journey. A woman goes through many stages in her lifetime, and most women are living longer in this modern world. The choices we make when we are cooking for bone health begin with an appreciation of the role specific foods play during our current stage of life. The impact of bone health first became important to me when members of my family were diagnosed with osteoporosis. This disease is a global health problem, and it became very real to me about ten years ago in my little corner of the world. As humans are living longer than ever before, the health of our skeleton requires us to actively prevent osteoporosis. Because I am a holistic health coach, cooking for bone health is the first place my mind goes after I hear about an osteoporosis diagnosis! Nutrition is only one factor in addressing bone health, yet it may be the easiest factor to tackle first, as the food we eat today is a self-care tool we can harness at home. As you plan your next meal, how will the health of your skeleton determine your selections? What types of food and cooking for bone health are recommended to us by scientific research? We all need calcium to build bones and teeth, help clot our blood when we’re cut, and regulate the beating of our heart. The absorption of dietary calcium in food needs to be understood by everyone wanting to age gracefully while cooking for bone health. There are food ingredients that can positively influence calcium absorption. Calcium must be released in a soluble form before it can be absorbed by your body. Most absorption in humans occurs in the small intestine. Maybe you think drinking more milk is the best way to add calcium to your life? Did you know that there are conflicting reports from reputable sources regarding the benefit of dairy products on our bones? Many experts tell us we will absorb more calcium from leafy green vegetables and broccoli than we will from milk. Here’s another thing you might not think too much about. When we do not consume enough calcium, our body will pull stored calcium out of our bones. Bone is a living tissue and we can deposit calcium there as well as break down our bones based on our self-care. The National Academy of Sciences recommends the following daily calcium dosages. I take 1,200 milligrams each day. My advice is that you talk to your doctor about how calcium supplements fit into your best health plan. The National Osteoporosis Foundation has organized a complete list of calcium-rich foods with portion sizes and calcium content. On that list you will find Collard Greens, Broccoli rabe, Kale, Soy Beans, Bok Choy, Dried Figs, Oranges, Sardines with bones, Salmon with bones, Shrimp, Ricotta, Yogurt, Milk, Cheese, Cottage Cheese, Foods labeled as Fortified with calcium. Vitamin D is found naturally in very few foods. Exposing our skin to sunlight during the summer is often a more reliable way to reduce the risk of bone fracture. During the winter months, and in different parts of the world year-round, there is an increased reliance on dietary vitamin D in the form of supplements or fortified food. Even when you eat fortified foods and soak in sunshine, your body may not make enough vitamin D. Because vitamin D plays a critical role in our bone health, it is important for our aging bodies to receive supplementation at the proper level. You may find it helpful to ask your doctor to test your vitamin D level the next time you have blood drawn. I asked my doctor for a 25-hydroxy vitamin D blood test and found out I was deficient. I was suspicious that my low D finding was due to my enthusiastic use of sunscreen for the past 15 years! I take 5,000 International Units of vitamin D each day. Did you know that vitamin D can be used to prevent and treat Type 2 Diabetes? Vitamin D is believed to help improve the body’s sensitivity to insulin. Our blood sugar levels are regulated by the insulin that is produced in the pancreas. If your blood test tells you that your vitamin D level is under 60 ng/ml, talk to your doctor about how this could be increasing your risk of insulin resistance. Vitamin K is also important to understand by those who are cooking for bone health and longevity. This important nutrient in bone health activates certain proteins that build bone mass. It also can impact blood clotting, so those who are on blood thinners should talk to their doctor about supplementing Vitamin K. Research and clinical trials show that vitamin K has a positive impact on bone density and decreases fracture risk. Add 2-3 weekly meals with leafy greens to add more vitamin K to your holistic health plan. This will help you to reach the 110 micrograms of vitamin K that the Nurse’s Health Study suggests will reduce your risk of hip fractures. Broccoli, Brussels sprouts, Dark Green Lettuce, Collard Greens, Kale, Mustard Greens, Swiss Chard, Spinach, Beef Liver, Pork, Chicken, Green Beans, Prunes, Kiwi, Soybean Oil, Hard Cheeses, Avocado, Green Peas, food fortified with vitamin D.
The last element in my Holistic Health Plan for bone health is to add more activity to your lifestyle. Being active is an essential component of maintaining a strong skeleton. Preventative care can help us all enjoy every decade of our life with mobility, flexibility and physical strength as our self-care habit. Bone ‘remodeling’ is an active, continual process that is always happening in a healthy, active body. Our bones are living, growing tissue that needs us to move, jump, twist, and climb to maintain their strength and flexibility. Releasing some sedentary hobbies and making way for active pastimes will also help improve balance and coordination. This becomes especially important as we get older because it helps to prevent falls. The two types of activity that are most effective for building strong bones are weight-bearing exercises and strength-training exercises. My favorite weight-bearing activity is an evening walk after dinner. What kind of activity do you most enjoy? To make an active lifestyle a sustainable change, it is important that enjoyment is a part of the activity! Strength-training in the form of lifting weights or using the weight machines at the gym may be enjoyable for you. If you’d rather enjoy nature while you build muscle strength, gardening and playing outside with the grandkids may be your choice. We can use our own body weight (or the weight of kids) as resistance and build strength by doing push-ups, sling garden hoses around the yard on our shoulders, or carry the kids on our back. Exercise and releasing a sedentary lifestyle has been shown to have bone-building effects, as does cooking meals with foods rich in calcium, Vitamins D and K. Understanding your individual risk for osteoporosis is essential, and after you know your level of risk, it doesn’t have to be complicated to help yourself lead a long and healthy life. That is my wish for you! If you would like to receive daily encouragement to Move More, how about starting your day with my Move More Mug? This colorful cup is available now in my online shop.